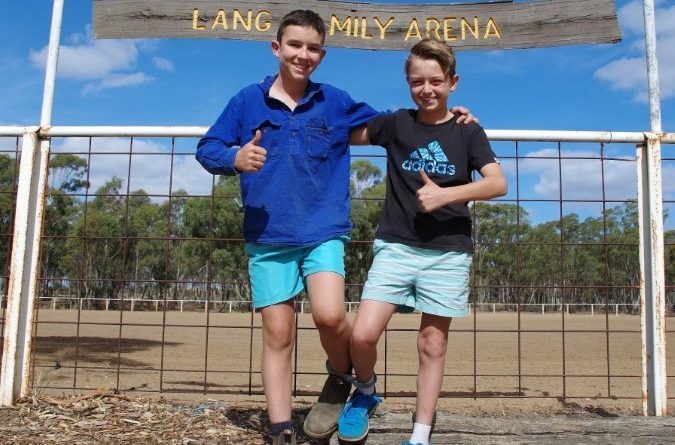 Lochie Cameron and Xave Mason are looking forward to participating in some of the fun activities including the three-legged race at the Race Ya event at Maldon on March 31. 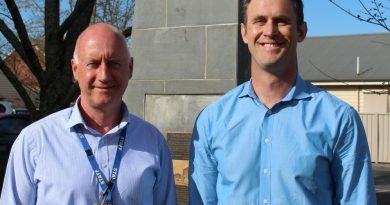 For the second year running the family fun day event Race Ya will be held in Maldon supporting the Asthma Foundation in memory of Ned Cameron. Ned Cameron died suddenly just over two years ago, at the age of 14, from an acute asthma attack. 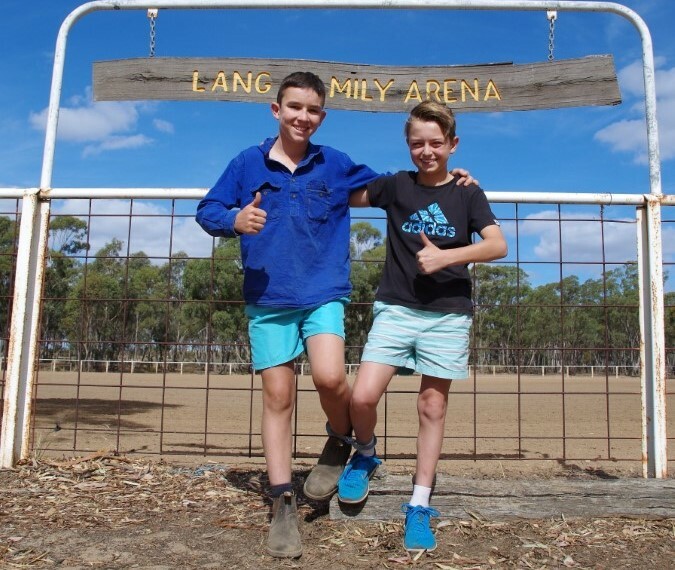 His mum Kristy Lang initiated Race Ya last year in his memory to raise funds and awareness for the Asthma Foundation. On the day there will be a jumping castle, egg toss, wood chop, nail drive, running races, horse shoe throw, sack race, three-legged race, whip cracking, face painting and more. New this year will be some live entertainment and a mini train ride. Entry cost is $10 per adult, $5 per child or $30 for a family. All profits and donations will go directly to the Asthma Foundation. There will also be a representative from Castlemaine District Community Health there to give a talk on asthma education. The event last year raised $20,276.84 and together with money donated at Ned’s funeral Kristy was able to donate $24,016.38 to Asthma Australia. Kristy said the money from last year would be used to implement education, information and asthma emergency kits at local sporting clubs. “Ned never had bad asthma, he only had mild asthma. I was told by my doctor that one third of the people who die from asthma only have mild asthma,” Kristy said. 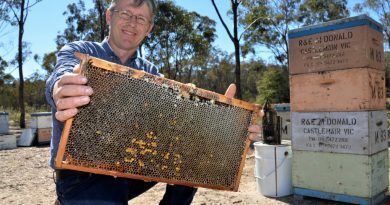 Ned died only about a month after the thunderstorm asthma epidemic hit Victoria and Kristy has taken an interest in this and is an advocate for the Melbourne Pollen Count and Forecast App that covers all of Victoria. Race Ya is also an opportunity for families to spend an inexpensive day together having a lot of fun. Kristy said she thought Ned would be proud to see the success of Race Ya. Race Ya will be held on Sunday March 31 from 10am-3pm at the Maldon Racecourse Reserve. For enquiries contact Kristy on 0427 759 328 or her sister Tracey on 0499 997 034. 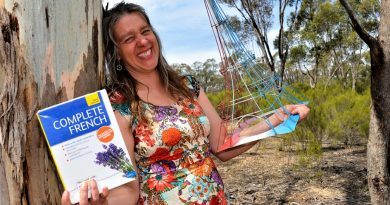 French tutor Emma Dubuc is looking forward to the new language courses about to start up at Castlemaine Community House.